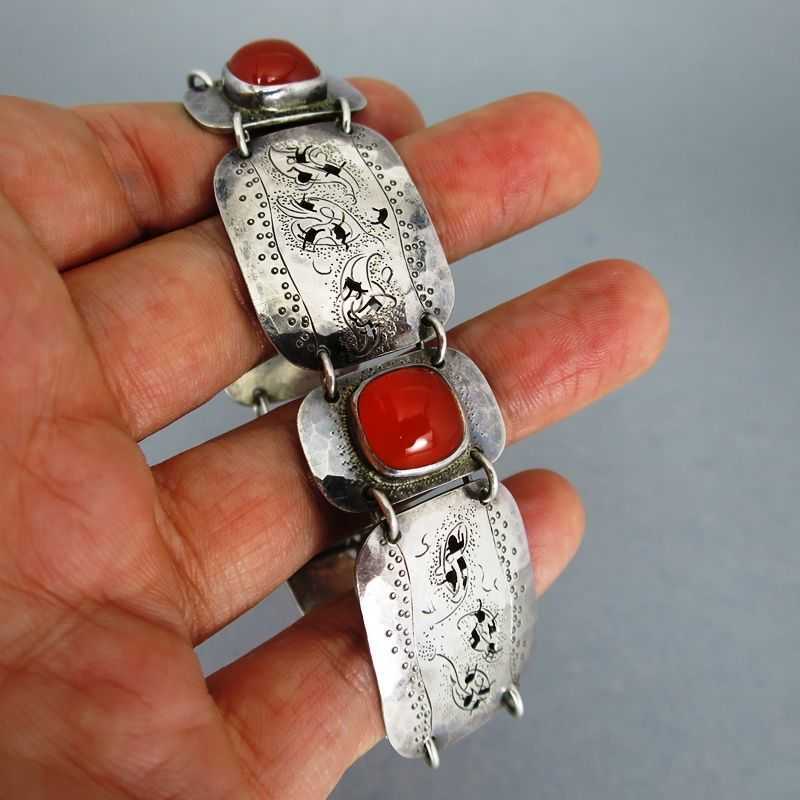 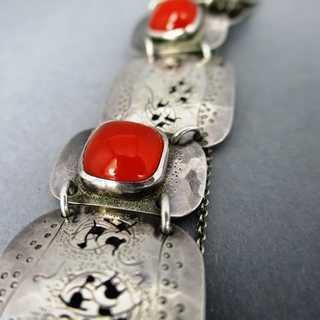 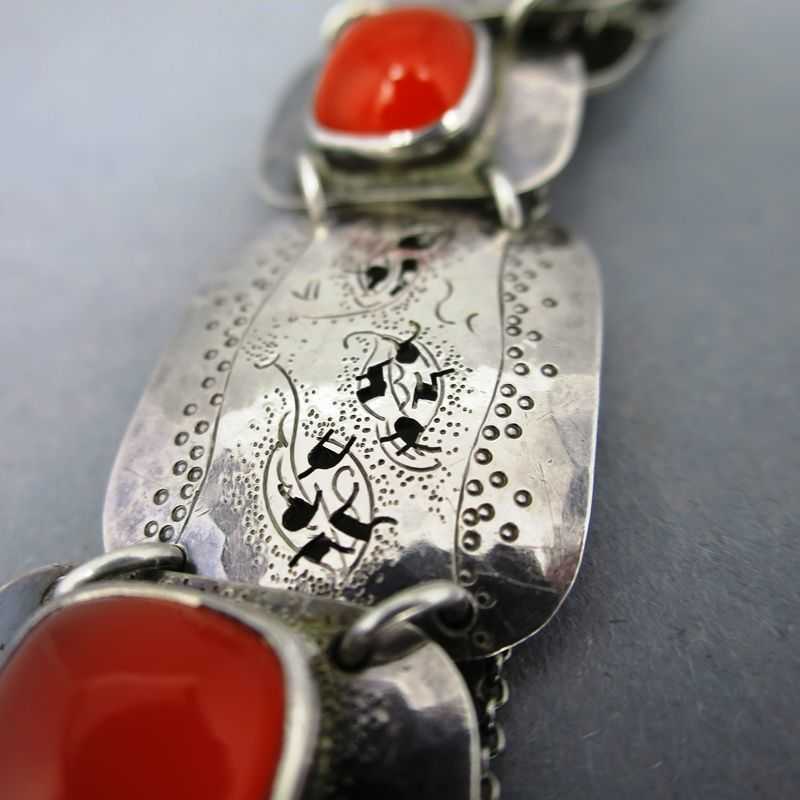 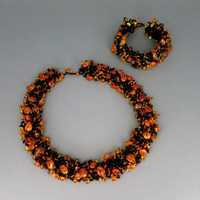 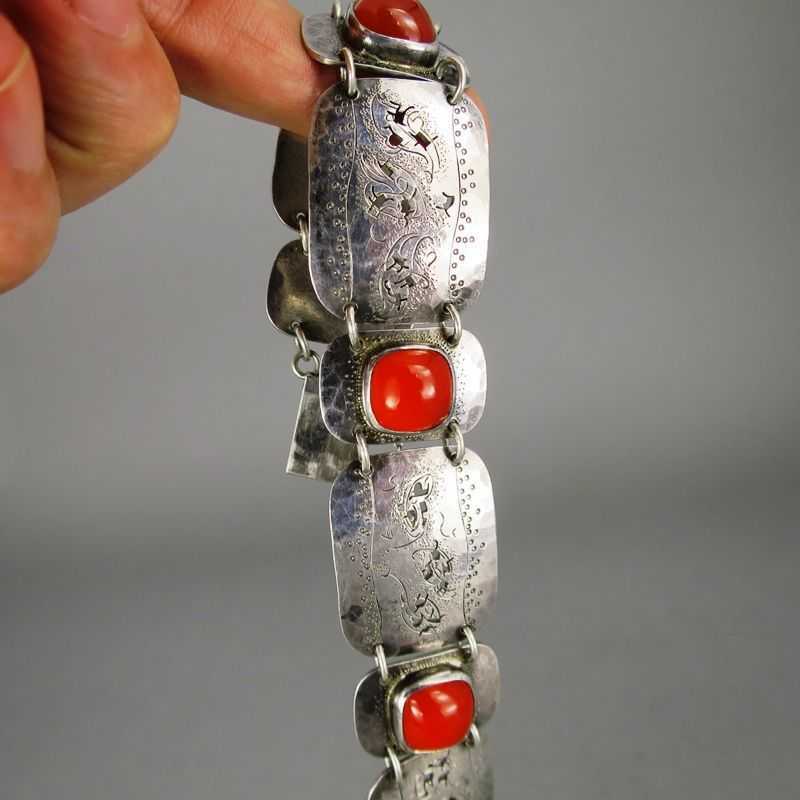 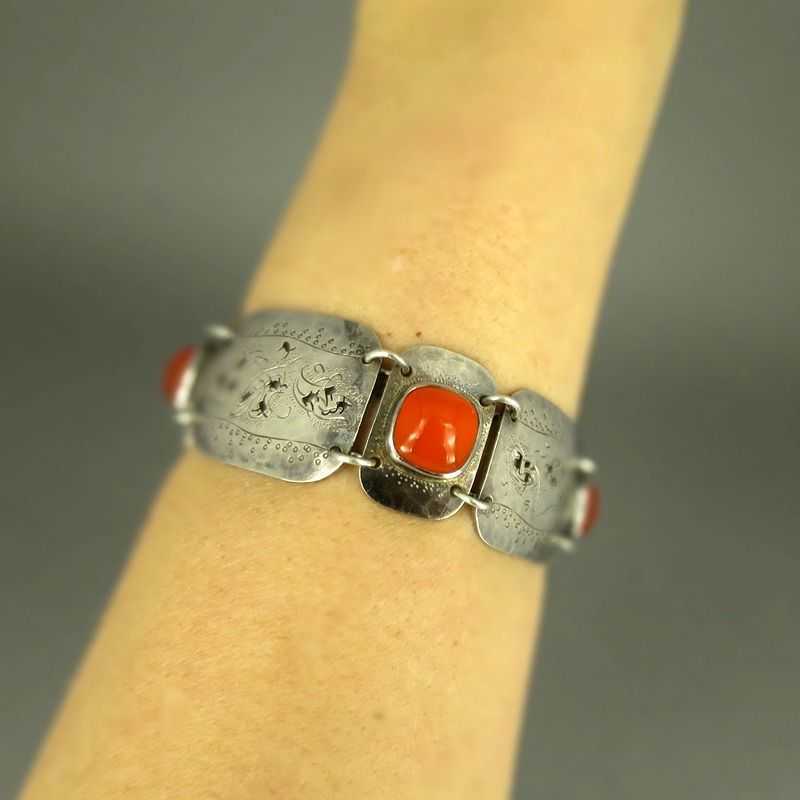 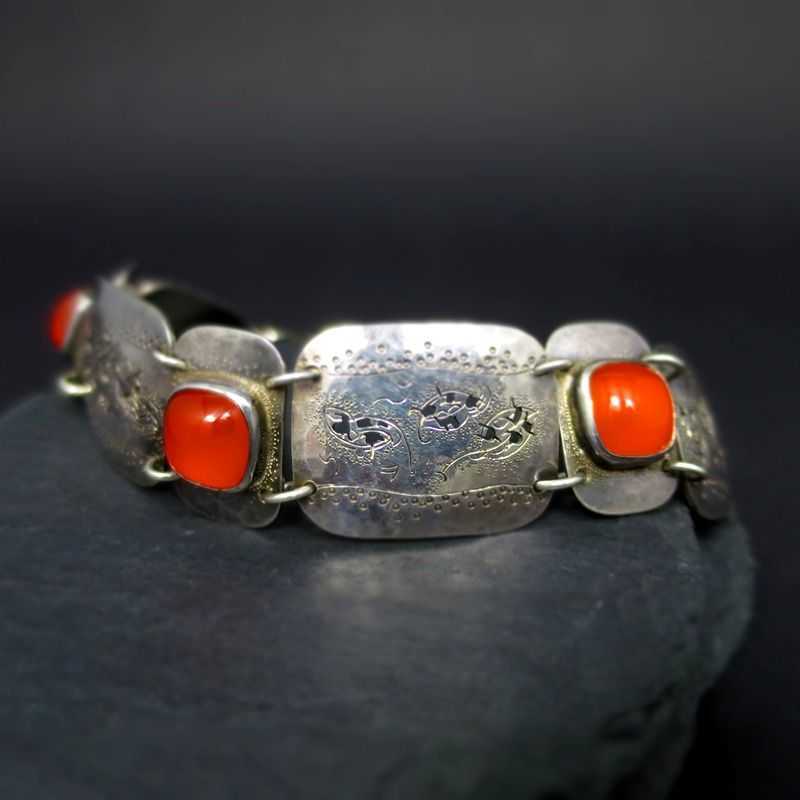 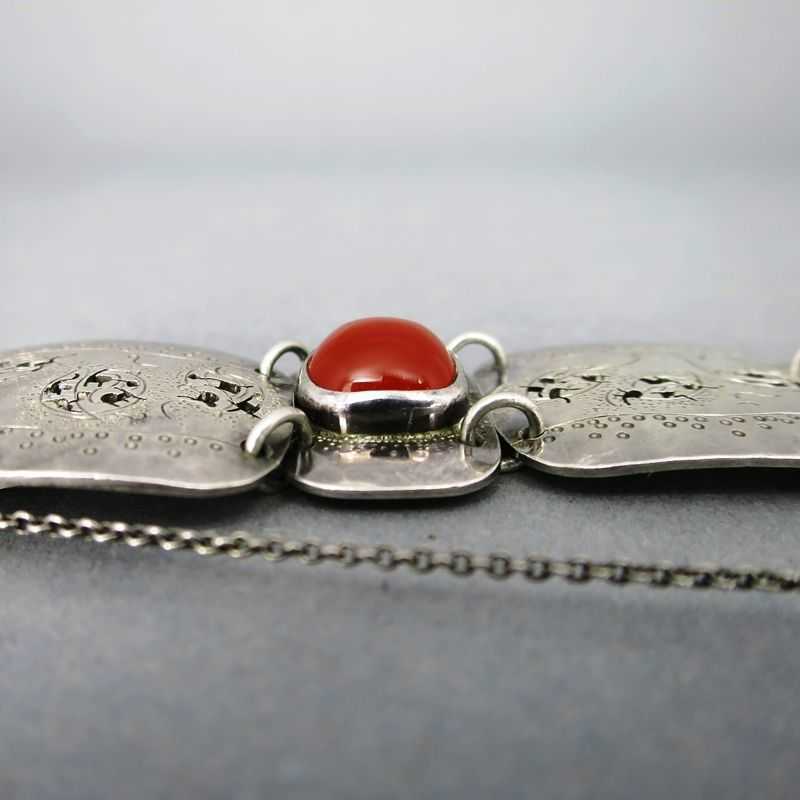 Unusual bracelet with carnelian. 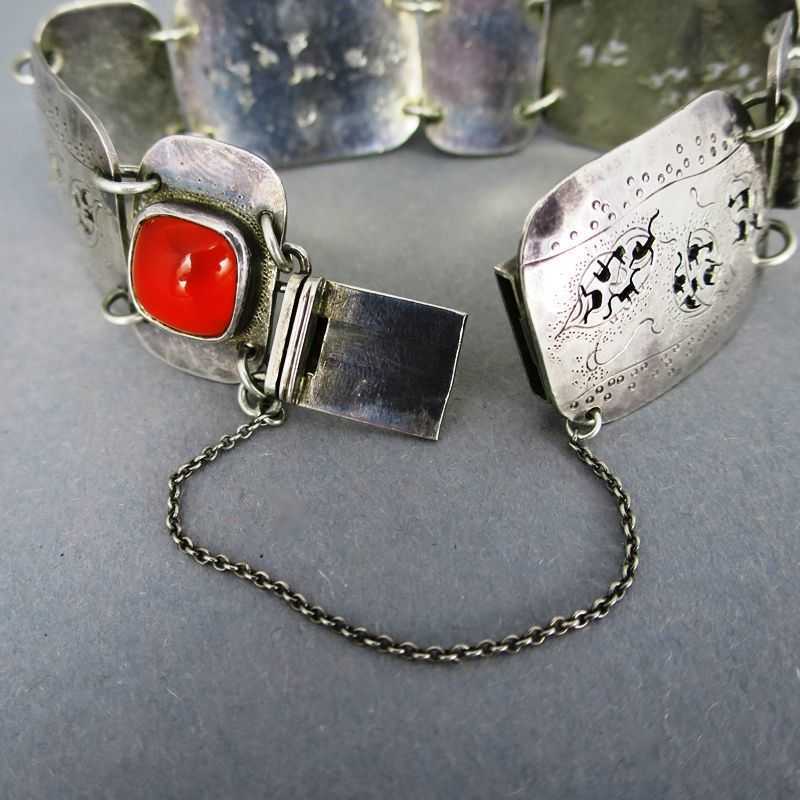 The bracelet is composed from small and big rectangular silver panels with rounded corners. 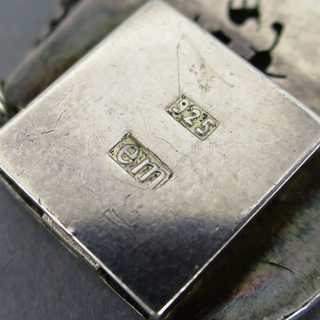 The bigger links show fine engraved resp. 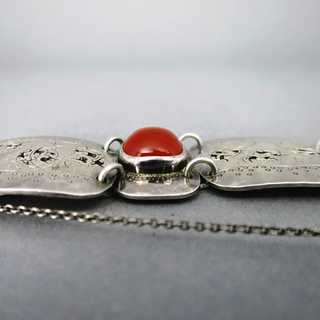 chaised decoration, the smaller links are filled with square carnelian cabochons in bezel settings. The stones have wonderful shining tone. 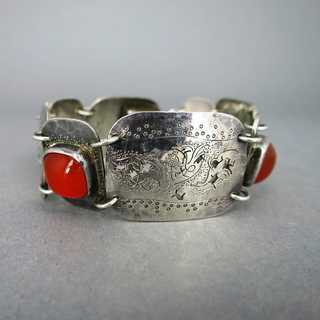 The silver surface is decorative oxidized. 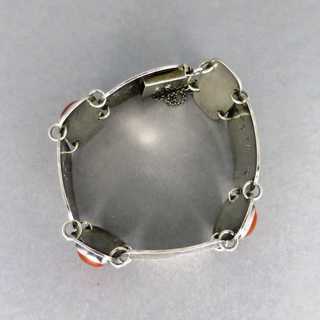 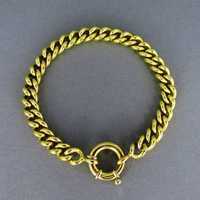 Stackable closure with safety chain. Marked with a master mark of an unknown silversmith.